Why Visit: Johannesburg, or ‘Joburg’ as it is more commonly known, is South Africa’s largest city characterised by its urban and gritty appeal. No longer just a stopover city, Johannesburg is an alluring destination in its own right tempting the discerning traveller with thought provoking museums, a vibrant arts scene and an eclectic nightlife. Many of its once downtrodden suburbs have undergone a dramatic regeneration that has seen them emerge into thriving hubs of creativity as the city bounds into the future while still remembering the past. Avoid the crowds and visit during the low season months of March-May when the weather is still relatively warm and rainfall is sparse. Where to Stay: Rising in Victorian grandeur from among canopies of oak trees and sheathes of palms, Sunnyside Park Hotel is an exclusive getaway from the thronging city streets, located in the heart of Parktown, one of Johannesburg’s oldest suburbs. Originally built in 1895, this grand building melds the romantic ideals of a simpler time with all of the facilities desired by the modern traveller. Rooms are simple yet elegantly furnished, and many embrace blissful views over swathes of exotic foliage. The hotel is also within easy reach of Johannesburg Zoo, golf courses, and a nature reserve. How to get there: O.R. Tambo International Airport is Africa’s busiest airport and a major hub for connecting flights to other South African cities. South African airlines operate a number of international and domestic flights, connecting Johannesburg to major cities such as London, New York and Frankfurt. Saturday Morning: Spend your morning at UNESCO World Heritage Site the Cradle of Humankind, located about a 90 minute drive from the city centre. Boasting 40% of the world’s human ancestor fossils, this spectacular site has plentiful opportunities of discovery, inviting visitors to uncover an astounding array of fossil-bearing caves. Take a tour of the caves and learn about the evolution of the human race or stop off at Maropeng, the official visitor centre and learn more about this incredible archaeological site. Before heading back into the city, grab a bite to eat on the terrace of the Tumulus restaurant which offers gorgeous vistas of the Witwatersberg and Magaliesberg mountain ranges. Saturday Afternoon: Soak up the trendy vibe at the Bag Factory Artists’ Studio in the hip and happening suburb of Newtown. Comprised of 17 artists’ studios, a gallery, a lithography printing studio and project space, the studio is a non-profit organisation that has been a hub of creativity since 1991, helping local artists from disadvantaged backgrounds. Witness talented artists showcase their skills to produce all kinds of wonderful crafts and pick up an authentic reminder of your time in Joburg. Since its inception it has become an inspiring example of diversity and inclusion, originally formed to unite artists from a range of different racial, cultural and educational backgrounds. Saturday Evening: As night approaches, Johannesburg comes alive with quirky watering holes in lively neighbourhoods that entice with a promise of funky music venues and hearty food. The neighbourhood of Braamfontein has a distinctly student ambience and is brimming with late night hangouts for you to discover. Jazz is a staple in South African music culture and Orbit Jazz Lounge is the preeminent music venue dedicated to providing a platform for some of the city’s best jazz musicians. Even though Joburg may not feature a beach, you can still head to ‘The Beach’, a beautiful rooftop bar in Braamfontein that is transformed into a beach on Saturdays; plunge your feet into the sand, sip on an exotic cocktail and marvel at the sun set. 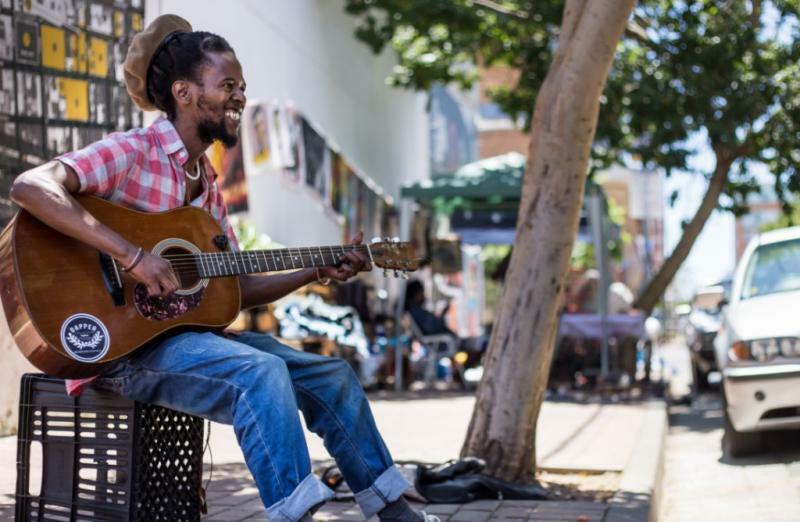 Sunday Morning: Rise and shine and make a trip down to Market on Main held each Sunday at Arts on Main in Maboneng, downtown Johannesburg and embrace the infectious buzz of the market place atmosphere. Since its launch in 2011, Market on Main has firmly established itself as the city’s hippest and most prominent urban food and design market. Embark on a multisensory experience as you navigate market stalls, taking in the aromas of freshly brewed coffee and sizzling street food. Open from 10am-3pm and held in an industrial building, this hipster hangout has that oh so cool artsy-market vibe about it, making it a wonderfully chilled start to a Sunday. Sunday Afternoon: Deepen your understanding of recent South African history by visiting the Apartheid Museum, where haunting and powerful exhibitions take you on an unforgettable journey through some of the darkest periods in South Africa history. Upon arrival, visitors are randomly allocated a race card and then directed to enter through a designated entrance for an experience dependent on the card given, providing a mere snapshot of what life was like during apartheid. After the museum, make your way over to Constitution Hill, a living museum that is yet another iconic reminder of the rainbow nation’s troubled past. The former prison complex has detained the likes of Nelson Mandela, Mahatma Ghandi and other prevalent activists, and now serves as the seat of the Constitutional Court of South Africa. Sunday Evening: Designed in the enchanting style of an Italian village, Montecasino isa plush entertainment resort that is open 24 hours, keeping visitors entertained until the early hours. The elegant architecture and majestic fountains outside of the entrance set the tone for a night of fun and frivolous spending. Watch a spellbinding show at the Teatro, one of the largest Lyric theatres in the world or watch the latest Hollywood blockbuster at their onsite cinema. If after a busy weekend of exploring the city you just want to relax and unwind, treat yourself to a sumptuous spa treatment at the Kai Thai Spa and leave feeling utterly rejuvenated.  LTG Top Tip: For a captivating view of the Johannesburg cityscape, head over to the Carlton Centre, which at a staggering 223 metres high is the tallest building in Africa. On the 50th floor they have an observation deck that offers a breathtaking birds-eye view over Joburg. After checking out the view, stop off at the shopping mall on the lower levels and indulge in some retail therapy.